How would you describe your biking abilities? Would you be willing to pull a bike trailer (Burley or other) for part of the ride? The IPA Foundation RAGBRAI team is a professional team of pharmacists, pharmacy technicians, and student pharmacists with a primary objective of representing the pharmacy profession across the state. 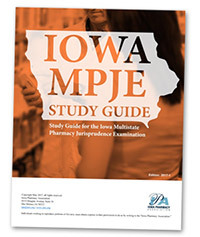 The team uses this unique opportunity to display the expertise, accessibility and patient care provided by pharmacy professionals while reflecting IPA’s values of collaboration, advocacy, innovation, education, engagement, leadership, and positive patient outcomes in all we do. I understand that unprofessional behavior will not be tolerated and will result in my immediate expulsion from the team. I understand that I will be expected to participate in daily pharmacy visits with the team, both along the route and in each host town. For pharmacists and student pharmacists: I agree that I have current professional liability coverage as a safeguard when providing OTC medications or other consultation during the RAGBRAI ride.